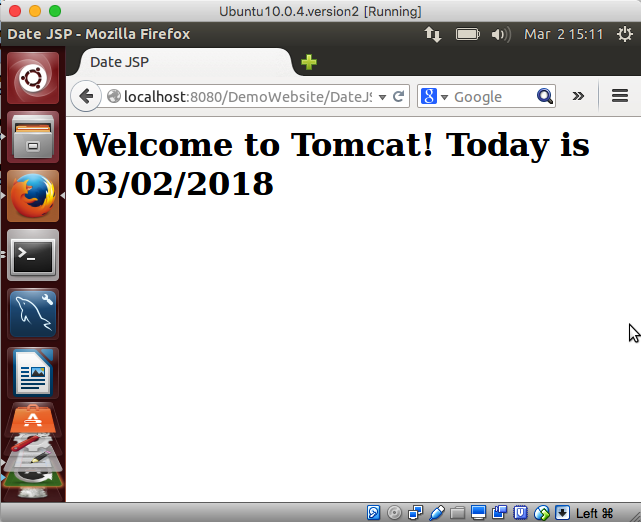 Deploying a web application to Apache Tomcat is very straightforward using a WAR (Web ARchive) file. By deploying we mean that we are placing a zipped web application in a location on the file system where Tomcat can make the web page(s) available to the world. 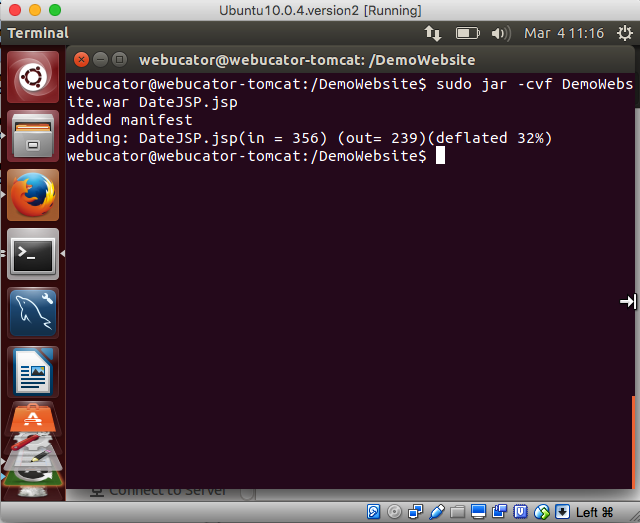 You'll need to create a simple web site first by creating a directory and a simple JSP (Java Server Page). The instructions for accomplishing these tasks were listed in the topic . **IMPORTANT** Complete steps 1 and 2 only in the aforementioned topic. Do not create the XML file that is shown in that topic as a context descriptor is not required when deploying a WAR file. You will simply create the /DemoWebsite folder and one JSP file that is stored in /DemoWebsite. If you completed that topic in the past, then stop the Tomcat server and delete DemoWebsite.xml from CATALINA_BASE/conf/Catalina/localhost, e.g., /var/lib/Tomcat7/conf/Catalina/localhost. Copy the WAR file you have just created to CATALINA_HOME/webapps, e.g., /var/lib/tomcat7/webapps.